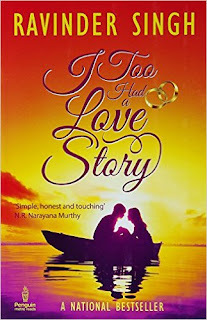 5 Must Read Romantic Novels – By Indian Authors - GOOGLE BOOK Free eBooks for Life! We all enjoy reading romantic novels by foreign writers, and often underestimate Indian authors; and this is because we forget that Indians are born romantics. So stop underestimating romantic Indian novels, and go read them! Find out which ones made it to our best reads. 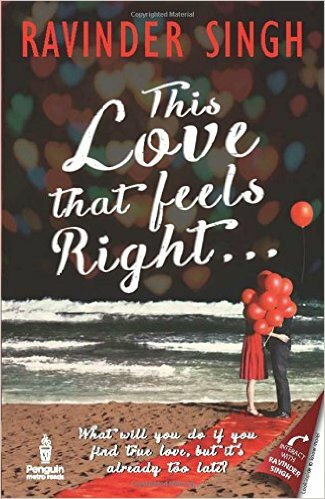 Author Ravinder Singh tells us the tale of his love story where he loved and lost, but found something else in exchange. Based on a real-life story, the book is the author’s debut novel that bares his love life for all to see. This heart-touching novel has love, humour and tragedy. 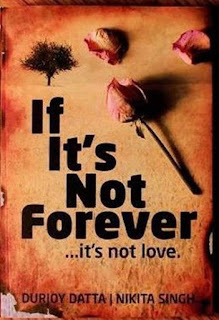 It’s one of the best romantic novels of this generation, and I bet you cannot read this book without crying. The story of If Its Not Forever is an interesting road journey involving two friends and their girlfriends. They search for the lady love of an unknown victim in the 2011 Delhi High Court blasts. The story revolves around the trauma of the blasts and the eagerness to get over this trauma by finding an unknown person through a clue found at the blast site. The story is thrilling and well-paced, keeping the reader engrossed in order to find out what happens next. Written by Durjoy Datta and Nikita Singh, this novel is a definitely a must read!! 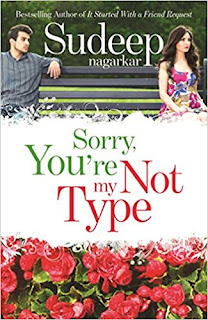 ‘Sorry, You’re Not My Type’ is a tale revolving around friendship, love and obsession. The story starts with Rajhans College, where the last round of audition is going on for the music band. During this hustle-bustle, 3 different characters come close and become best friends. Vikrant is a purist, according to whom only one ideal person is made for every person. Anamika is a freethinker who always stands against the wrong. 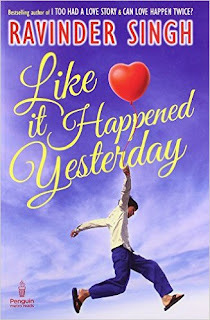 'Like It Happened Yesterday' is about a childhood gone bye. By way of a fictional journey, the author recaptures stories about school, hounding examinations, essential vaccinations and other mores that are part of anyone's childhood spent in smaller cities and towns of the country. The book captures the author’s emotions beautifully he felt when growing up. The storytelling is vivid and intense for one can feel the serenity, enthusiasm, pain and joy through the pages. Be it starting out in school with a first day in class among strange kids, the biting pain of a hurtful tooth when it struck for the first time and other such stories that we all can relate to easily. The story also goes back to a time when life was simple and gadgets did not rule much of all your daily activities. The book is all about small pleasures of life which have become a rarity now. The author makes the readers see the world through the eyes of a child, which makes the the whole journey inspiring and nostalgic. Like it Happened Yesterday is a good read and makes us reflect upon our own growing up years bringing back many sheltered memories of childhood. Most readers can relate to the authors indulgences and feel that he may have been writing about them. Ravinder Singh, born in 1982 in a Sikh family, is an established novelist with many successful books under his belt. An engineer by qualification and a management graduate from Indian School of Business, Hyderabad, it was while working for Microsoft when his girlfriend died in 2007 that turned him into a writer. 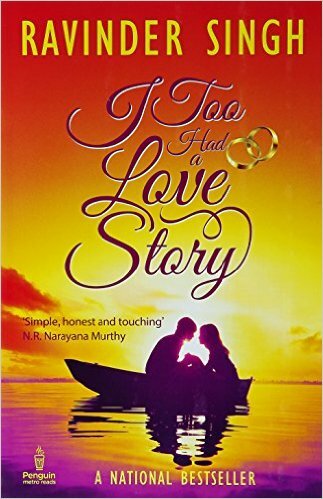 The first book I Too Had A Love Story is largely autobiographical, where Ravinder Singh narrates the tale lived. He has a knack for humor and has over the years built a steady base of readers for his writings.